Practicing faithful discipleship means focusing on the daily aspects of Christian education in the local church, within its structures and through faithful ministry. Through Bible-based truths and helpful insights, Discovering Discipleship identifies principles that provide the Christian educator with an overview of the significant aspects of faithful discipleship. 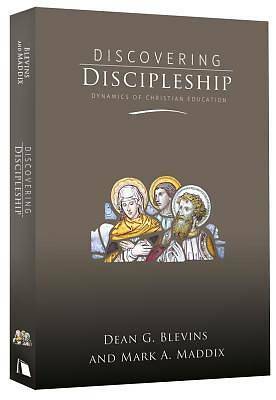 Effectively organized into four areas - definitions, dynamics, design and practice - authors Dean Blevins and Mark Maddix offer readers an approach to discipleship that seeks to honor God, understand our role in the contemporary world and guide persons and communities according to Kingdom principles. In this honest exploration, readers will find a new perspective on discipleship that will help them dig deeper and develop a long-lasting and effective practice of community formation and faithful discipleship. 1. Why Discipleship From a Wesleyan Perspective?